After the ripe drought year of 2015, it is nice to open the 2016 Bearwallow Chardonnay from Kevin Harvey and his team at Rhys and see the alcohol level at 12.5 percent. These are still young vines, as the first vintage of chardonnay produced here was the 2014, but the vines’ youthful vigor is obviously nicely reined in. The bouquet here is lovely, offering up a nascently complex and refined blend of pear, white peach, a hint of fresh nutmeg, a lovely base of soil, a dollop of almond and a discreet base of vanillin oak. On the palate the wine is crisp, fullish and beautifully transparent, with a good core, fine focus and grip, bright acids and lovely balance on the long and complex finish. There is a touch of thoroughbred leanness here on the palate that I really, really like. 2018-2030. 92. The 2016 Horseshoe Vineyard Chardonnay from Rhys is again a cool and classy customer, tipping the scales at 12.6 percent octane. The nose is pure and beautifully expressive 101 out of the blocks, wafting from the glass in a fine blend of pear, delicious apple, acacia blossoms, complex minerality, fruit blossoms and vanillin oak. On the palate the wine is fullish, focused and shows excellent intensity of flavor at the core, with excellent balance and grip, lovely complexity and a long, elegant and vibrant finish. This is excellent wine. 2018-2035. 93+. The Rhys Vineyards’ bottling of chardonnay from the Alpine Vineyard is one of my very favorite white wine cuvées in all of California, and the 2016 vintage of this bottling is outstanding. The wine is another cool chard, coming in at 12.7 percent and offering up excellent aromatic refinement in its blend of pear, nectarine, fresh almond, a beautifully complex base of soil, spring flowers and a deft framing of vanillin oak. On the palate the wine is deep, full-bodied and nascently complex, with an excellent core of fruit, lovely mineral drive, bright acids and superb length and grip on the very classy finish. This is like a top flight Puligny premier cru with different minerality. 2018-2035+. 94. The two Anderson Valley bottlings of pinot noir from Kevin Harvey and his talented team are absolutely beautiful in 2016. Both wines come in at a cool and generous 12.9 percent alcohol, with the Bearwallow offering up a superb aromatic constellation of black plums, black raspberries, cola, woodsmoke, a refined base of soil tones, a touch of fresh herbs and just a whisper of new oak. On the palate the wine is deep, full-bodied and nascently complex, with a sappy core, suave, seamless tannins, excellent focus and grip and a very long, vibrant and elegant finish. This is just lovely. 2022-2050. 93. The high density planting from which the Porcupine Hill cuvée hails has produced a wine that is even a bit deeper and more precise than the lovely Bearwallow. The bouquet is beautifully black fruity, offering up a blend of black plums, black raspberries, coffee bean, a touch of cola, dark soil tones, gentle smokiness and a discreet touch of oak. On the palate the wine is pure, fullbodied and more tightly-knit out of the blocks than the above, with superb mid-palate depth, excellent focus and grip, fine-grained tannins and lovely purity on the long, refined and still quite youthful finish. The higher density planting has produced a wine with a bit more structure than the Bearwallow, but also greater potential for the long haul. 2025-2055+. 94. Whenever I taste the single vineyard pinots from Rhys Vineyards, I always do them together, so that I can go back and forth between the various expressions of terroir in each wine. While this is a fascinating exercise for me, it is probably not all that fair to the two beautiful bottlings from San Mateo County, as they hail from terroir that is not as comfortably familiar as those from Anderson Valley or the Santa Cruz Mountains. 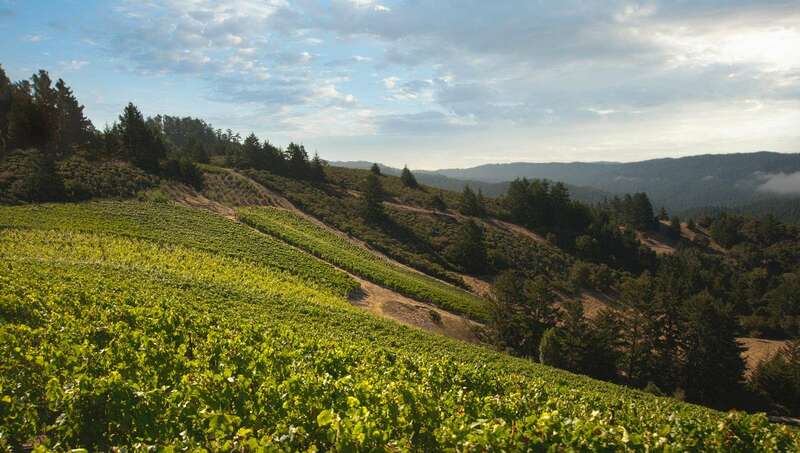 Nevertheless, there is plenty of terroir in both the Family Farm and Home Vineyards bottlings, albeit, expressed quite differently than in the pinots from the other two regions. The 2016 Family Farm is a really lovely bottle of pinot noir, offering up a wide open and very classy nose of sweet dark berries, bitter chocolate, a touch of pigeon, woodsmoke and a lovely base of dark soil tones. On the palate the wine is pure, fullbodied and generous on the attack, with a fine signature of soil, a good core, moderate tannins and lovely length and grip on they bouncy and complex finish. This svelte bottling comes in at 12.6 percent octane this year and is just lovely. 2018-2045. 92+. The 2016 Home Vineyard bottling from Rhys is also a fine wine in the making, but this is a touch lower in alcohol than the Family Farm (12.3 percent) and is a bit more tightly-knit out of the blocks as a result. The bouquet is beautifully precise and nascently complex, wafting from the glass in a black fruity mix of cassis, dark berries, espresso, a hint of graphite, a lovely base of dark soil tones and a bit of bonfire in the upper register. On the palate the wine is fullish, pure and still fairly primary, with lovely intensity of flavor, refined tannins, tangy acids and lovey focus and grip on the long and classy finish. While I would not feel guilty about drinking another bottle of Family Farm tomorrow, the Home Vineyard bottling in 2016 really deserves at least a few more years in the cellar to properly blossom. 2021-2045+. 92+. I often have a very, very slight preference for the Alpine bottling over the Skyline Vineyard, but this is not the case in 2016, where this vineyard seems to have absolutely nailed the vintage (or vice versa). The bouquet is superb, delivering a vibrant and very pure mix of black cherries, sweet dark berries, bitter chocolate, woodsmoke, a touch of pomegranate, a beautifully complex base of mineral shadings, a bit of cumin and cedar. On the palate the wine is pure, full-bodied, focused and nicely reserved in personality, with a lovely core, great balance and grip, fine-grained tannins and stunning length on the pure and energetic finish. This is a great wine in the making! 2024-2060. 95+. The 2016 Swan Terrace bottling from Rhys is also outstanding, and trying to select a favorite this year amongst this stellar lineup of pinot noir is virtually impossible. The bouquet here exudes purity of fruit and mineral precision as it delivers scents of cassis, black plums, a touch of gamebird, a great base of black minerality, espresso, a gentle framing of cedary wood and a topnote of bonfires. On the palate the wine is deep, full, complex and perfectly balanced, with moderate, buried tannins, great focus and grip and a very, very long, refined and intensely flavored finish. I love the backend lift here. 2026-2065 95. The 2016 Alpine Vineyard from Rhys is a gorgeous pinot noir in the making. The superb nose jumps from the glass in a fine blend of black cherries, cassis, charred wood, cola, a fine base of Gevrey-like black minerality, incipient notes of beetroot and a discreet framing of cedary oak. On the palate the wine is deep, full-bodied, complex and perfectly balanced, with a fine core, refined, moderate tannins, tangy acids and laser-like focus on the very long and very pure, dancing finish. This is still a fairly young wine, but it is going to be stunning when it is ready to drink. 2024-2060. 95. The 2016 Horseshoe Vineyard pinot noir is absolutely stellar. The wine is a cool customer, coming in at 12.5 percent octane and offering up a beautifully complex and classy bouquet of black cherries, dark berries, cola, beautiful spice tones, excellent minerality, a touch of cedar and a topnote of woodsmoke. On the palate the wine is deep, pure, full-bodied and already quite complex, with a sappy core, fine focus and grip, seamless tannins and a very long, focused and energetic finish. The mineral drive of all of these Santa Cruz Mountain pinots from Rhys is very impressive this year. 2022-2055+. 94+. 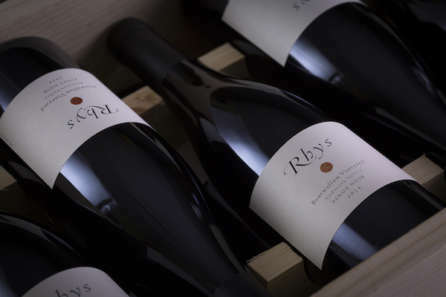 As I mentioned last year, with the 2014 vintage, there is only a Horseshoe Vineyard bottling of Syrah from Rhys Vineyards, as their parcel of this variety in their Skyline Vineyard was budded over to pinot noir. Given how beautiful the 2016 Skyline pinot is this year (please see below), it is hard to argue with the decision to expand the pinot noir in this vineyard, but at the same time, this 2015 Horseshoe Vineyard syrah is a pretty strong argument that less Rhys syrah is not the most desirable solution! The 2015 Horseshoe Syrah is a brilliant wine in the making, coming in at a cool 12.9 percent alcohol and delivering a stunning bouquet of cassis, pepper, black olive, a very complex base of minerality, just a whisper of cedary wood and a smoky topnote. On the palate the wine is pure, full-bodied and very elegant in profile, with a fine core, great soil signature, ripe, suave tannins and outstanding length and grip on the pure and nascently complex finish. This is young, but its future greatness is already very, very easy to appreciate. 2025-2075. 95.